Q: Can you identify this caterpillar? I found it under my redbud tree. A: I have not seen this large caterpillar before, so I called an entomologist at the University of Florida who identified it as the caterpillar of the Large Tolype moth. 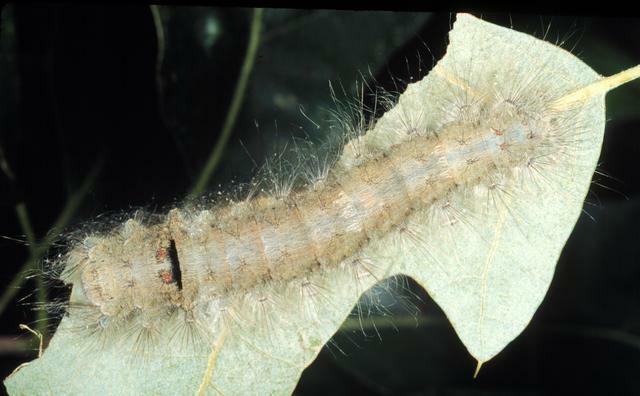 The two – three inch caterpillar can be found feeding on the leaves of apple, ash, birch, elm, oak, plum, and several other trees. 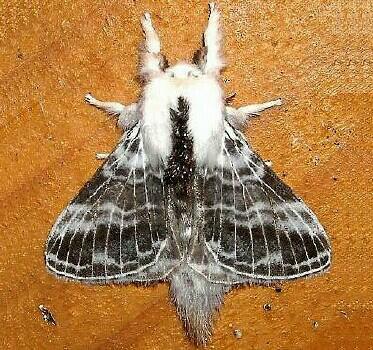 The first thing you will notice about the Large Tolype adult moth is the white to grey hairy body. The moth grows from 1 – 2.5 inches long. The Large Tolype moth is a very striking moth with variations of color from white to black and grey – love to have one in my collection. The Large Tolype moth can commonly be found from as far north as Nova Scotia south to central Florida, and westward to Minnesota, Nebraska, and Texas. Categories: Insect | Tags: caterpillar, Insect, larvae, moth, tolype, velleda | Permalink.